Get credit on Clinical Quality Measures. Trend lab values to track outcomes over time. Print reports to see a list of patients who aren’t meeting goals. When filing a document from the document manager, select “Lab Report” from the report category. This will generate a "+ Manually Type Lab Values" button. Click the button to start adding lab values. In order to preserve the integrity of the record and ensure the accuracy of the lab result, you are only able to add lab values to an existing lab report with an image. Save time when documenting lab results using the quick-add list for common Lab Panels. When entering values, you’ll notice a Reference Range. This will flag abnormal values in red if the value are outside the normal range. Once you have documented all values click Return to save the entered values into the associated document. Choose an existing lab vendors or create a new one. Start typing the lab panel into the first text box that appears under the "Type Lab Result" header to populate a list of available lab panels. If you do not find a lab panel that you're looking for, you can create your own lab panel by clicking on the "Create new lab panel with this name" button. 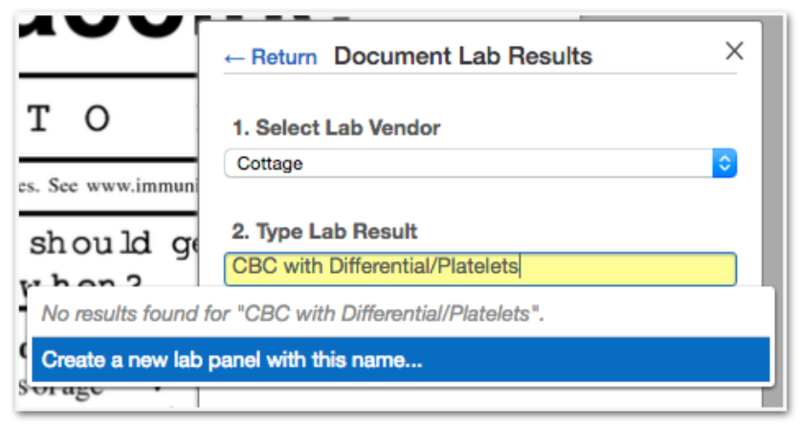 In the screenshot above, the lab panel name is "CBC with Differential/Platelets". Type in the lab result name and choose from the list of available results. If you do not find a lab result, you can create your own by clicking on the "Create new test with this name" button. All future entries for that lab result name will automatically pull forward the last reference range used to help speed up the manual typing process. Note: The only required fields are lab test name and value. Reference range and units are not required. Search for lab values or lab panels to easily trend results over time. 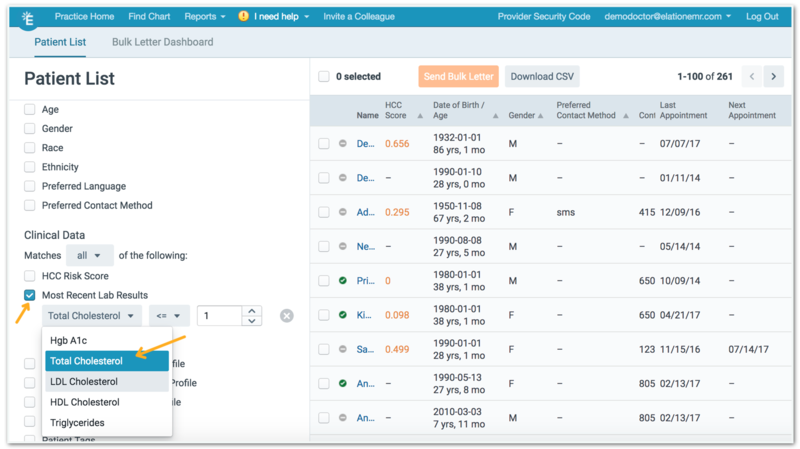 Because the information is now structured, these values will populate automatically under the chronological record — helping you get a longitudinal view of your patient’s health. 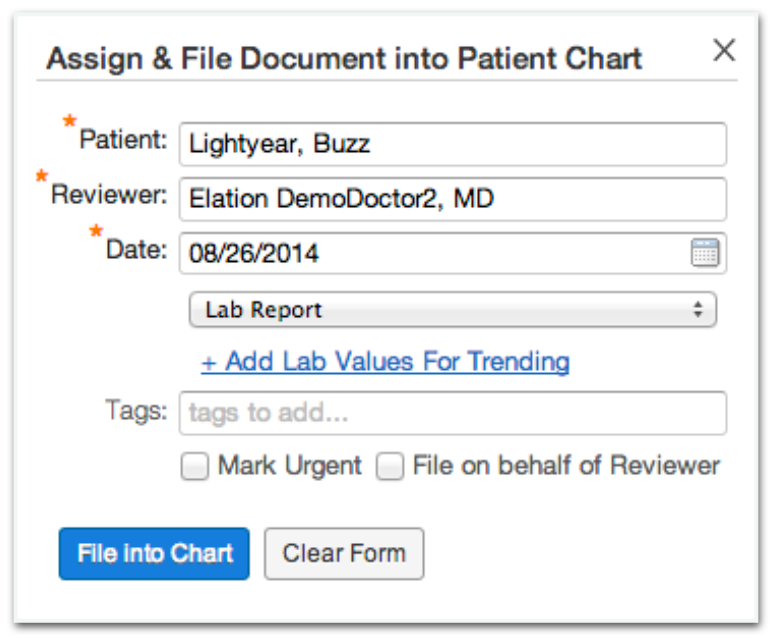 Get a snapshot of your overall panel’s health by printing a Patient List report. Simply click on the Reports section, and then select Patient List. 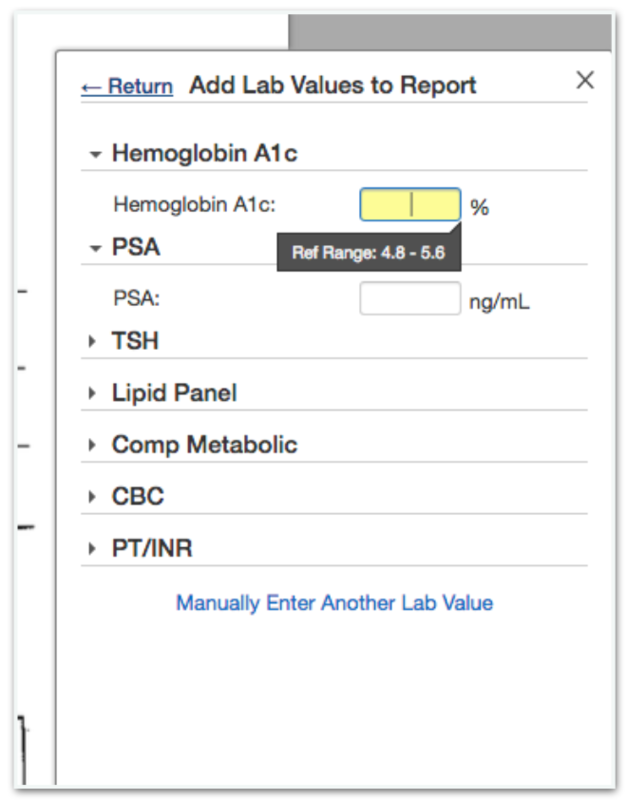 Search your entire patient panel and segment results by provider, patient demographics, date last seen, or clinical data (such as HbA1c values) to quickly identify those who aren’t meeting clinical goals. Easily schedule a follow-up appointment to take action on their care.